Earning a graduate degree in mechanical engineering is an important step towards a successful career in the field of mechanical engineering for recent undergraduates who want to specialize in a specific area of mechanical engineering before entering the workforce as well as for professionally employed engineers looking to expand their skills. 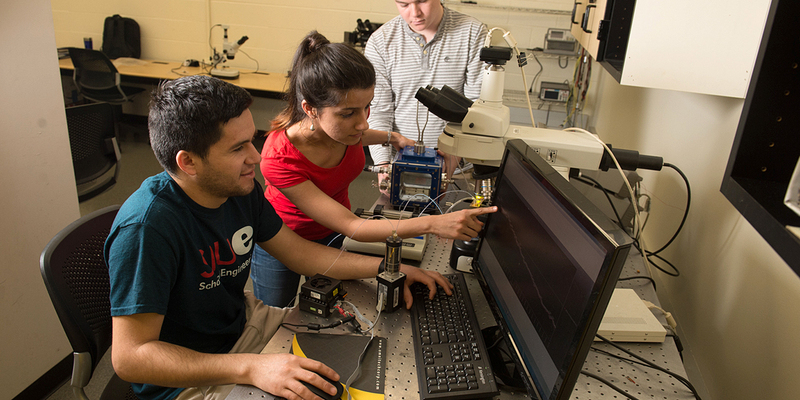 The department offers graduate programs leading to an MS degree in mechanical engineering and a cooperative PhD degree in engineering science with a mechanical engineering concentration offered by the College of Engineering at SIUC. Our graduate programs provide you with the opportunity to study advanced coursework, conduct research, and learn skills such as critical thinking, analytic ability, and time management. These skills provide a solid foundation for careers in industry, research labs and academia. Assistantships and scholarships, which include full tuition waiver and stipend, are available to qualifying students. If you are interested in more information about the graduate program in mechanical engineering at SIUE, please contact Graduate Program Director Dr. Jeff Darabi at jdarabi@siue.edu.